Holy smokes, the spring 2017 anime season began today. Where did time go?! Also, did I really not publish anything since the Winter Season Preview? Turns out that is the case. Real life was busy, mood was low. But things are looking up, finally. Anyway, it’s time to look towards the new season, and put behind us a season where I watched literally nothing, though I looked forward to quite a bit. Most of the information about the shows can be had from the helpful Neregate Chart, and what I’ve happened to see on various sites, such as The Cart Driver. Check them out if you want more information, or information on shows I didn’t cover (such as follow-ups to shows I don’t watch). I planned to write only when I really had something to say this time, but turns out, as always, I had a lot to say. 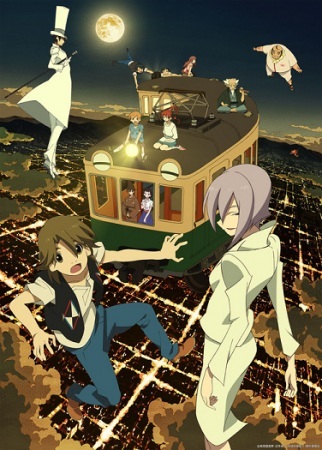 Uchouten Kazoku 2nd Season / The Eccentric Family 2nd Season – Uchouten Kazoku was my 7th favourite anime series in the very strong year of 2013. And although I didn’t dedicate an entire piece to it, I did touch on its storytelling in my piece on Kyousougiga (Capital Craze). It was a story about loss, and family, and trying to fall in love. It got very emotional at times, while being silly, or ponderous in others. A good show. A second season? I’m watching, you can bet on it. Of special note is that season 1’s Series Composer Suga Shoutarou (OreGairu, Isshuukan Friends) is not working on the second season, but has been replaced by Higaki Ryou, who worked on the first season’s script, and also worked on Kuromukuro, Another, and Dimension W. Feels like a definite downgrade. Also, for those who don’t know, it’s based on novels by the same author as The Tatami Galaxy. You can read my notes for the first season here, which are much shorter than my usual notes, as I only wrote them after watching an episode and not as it aired – didn’t want anything to get between me and the show. Interest Rating: 2.5/3. A more serious yet not overwhelmingly so show. Comfy and emotional, no idea what the second season is about, but I’ll check it out. I do hope the change in Series Composer won’t be detrimental. 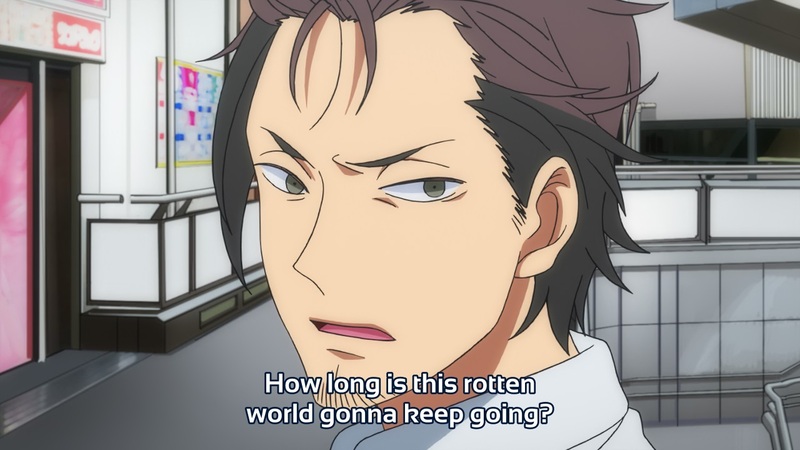 The Winter 2016 anime season begins tomorrow, so it’s high time for me to release this post, eh? I’m still not back to two weeks prior to the season’s release, but at least we got back to getting this out before the season. Hurray to small successes! Real life is going to be very busy for me this month, but that doesn’t mean anime’s going to stop. So let’s find out what we’ve got to look for this season (hint: Very little). Most of the information about the shows can be had from the helpful Neregate Chart, and what I’ve happened to see on various sites, such as The Cart Driver or Random Curiosity. Check them out if you want more information, or information on shows I didn’t cover (such as follow-ups to shows I don’t watch). Little Witch Academia (TV) – This is probably the series I’m most excited over since they announced Avatar: the Legend of Korra. For those who don’t know, Little Witch Academia was a truly magical 30 minute short released in 2013, which I loved quite a lot. The second episode, a slightly longer short film, released in 2015, was disappointing to me, not because it was bad, but because it was merely good. Now, this is a full-fledged series, which has more production issues and usually less resources per minute of air-time, but hey, I’ll take it. I’ll take it because at the end of the day there’s little I like more than the sense of wonderment. We’ll get to goof around with Akko and the rest of the gang, and actually see their daily escapades as more than a 2-minute montage. I’m on board. 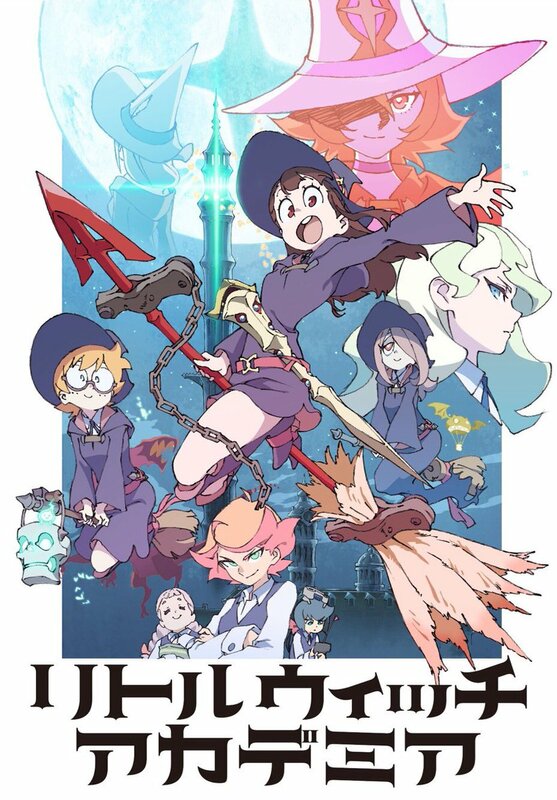 For those who don’t know, Little Witch Academia is made by Studio Trigger, made by ex-Gainax employees, and although Gainax was mostly known for its action sequences, I’d argue this is studio Trigger’s best work to date. This is Director Yoshinari You’s full-series directorial debut, after directing the two Little Witch Academia shorts, as most of his experience is a Key Animator. Series Composition is handled by Shimada Michiru, who worked on Urusei Yatsura, One Piece, Rurouni Kenshin, Romeo and the Black Brothers, Shugo Chara!, Little Busters, The File of Young Kindaichi Returns, Emily of the New Moon, Gakuen Alice, and The Adventures of Peter Pan. This is actually a very interesting set of works, as what stands about them is that most of them are highly regarded, and quite old. Another thing that stands out about a few of them is that they are adaptations of children novels that border on fairy-tales, which seems like a good fit for this series. Interest Rating: 3/3. I don’t like most “cute girls being cute” type of slice of life, but the slightly more adventurish sort, or just calming are amongst some of my favourite series to mellow in front of. The first Little Witch Academia was that sort of moment for me, so I hope this series will deliver as well. Airing Date: January 8th. Preview. This is the last essay write-up on Gatchaman Crowds’s first season. Am I “done” with covering all the series has to bring up? Not even close. My old episodic write-ups bring up many ideas I don’t even touch on here, such as The Bystander Effect of the Diffusion of Responsibility, or many more masks for me to discuss. 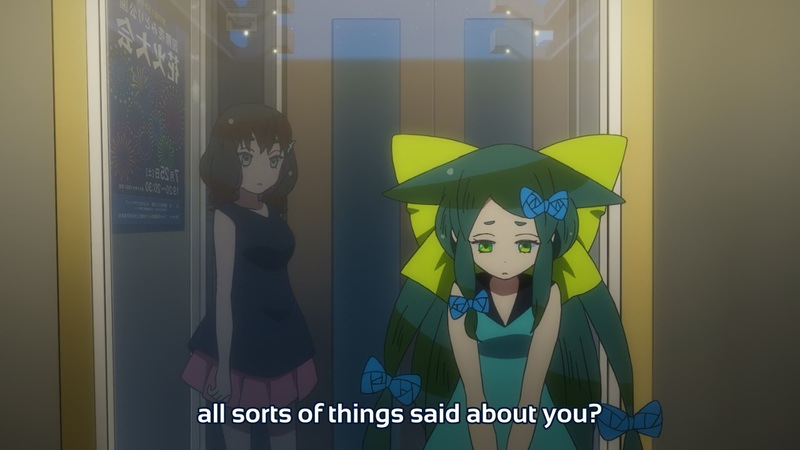 But, Gatchaman Crowds doesn’t believe in chewing one’s thoughts for them, and as I hope I made clear through these series of posts, the more I delve into this show, the more I actually have to discuss. I could be talking about this show for months to come. So, before we delve into the OVA and then Gatchaman Crowds insight, it’s very fitting we finish with this write-up on the nature of good decisions, which is both useful for readers to keep in mind in their daily lives, and as something to keep in mind as one watches and then thinks of Gatchaman Crowds Insight. This is a question, which underlies Gatchaman Crowds, and is re-opened in Insight. This is a Things I Like post, it’s not a review, but more a discussion of the show and of ideas that rose in my mind as a result of watching the show. There will be spoilers for the entire first season of the show. 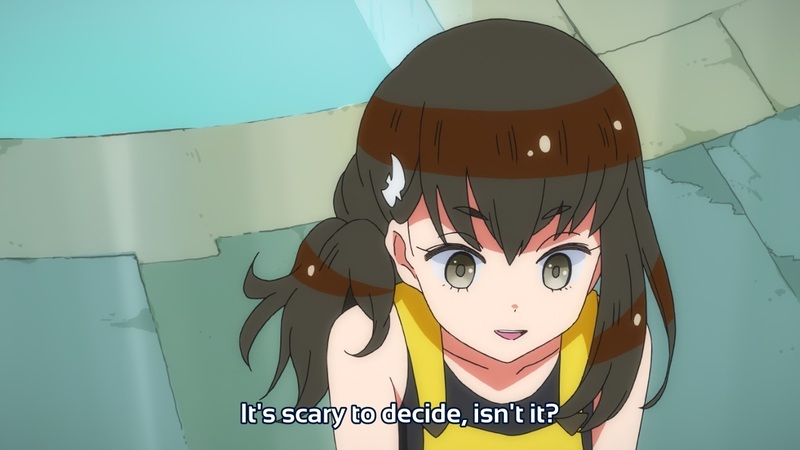 This may sound trivial, but Gatchaman Crowds is very much a show about making decisions, and a particular one above all else. Rui’s arc specifically is about making a decision, about making a choice. Well, I’ll discuss in a bit why it may not be as obvious, but first, I’m actually going to take this show to task for raising the question that’s asked of any decision, whether it was a good one, and pulling a fast one on us in terms of what the answer to said question is, at least in this season. But first, let’s discuss decision-making and what makes for a good decision in general. As we’re nearing the end of the Gatchaman Crowds write-ups (there’s only one essay left after this one! ), I once more return to the sort of article that I opened this project with, one that revolves around one of the more general issues the series tackles: Leadership. Leadership is one of the things Gatchaman Crowds explores from the most angles, even if it doesn’t give it the most direct scrutiny. Its approach to leadership is at the same time both irreverent and sympathetic, and the characters and scene referenced in this post’s title reflect both of these facets. Irreverent to leadership, and sympathetic to leaders and their burden. Hajime is Athena, sort of. She is born again when J.J. envelopes her in the first episode, and from his embrace she emerges as a Gatchaman. Later, she’s Jesus. J.J. sits across a chasm, and Hajime walks across the chasm to him, a leap of faith. The imagery seems as if she’s walking on water. But she breaches the distance, and sits right next to the seemingly impossibly far entity, who only touches them once, when giving birth to them and giving them their shape, their “wings”. The fear of doxxing and trolling. Now, I’m going to address this line from Hajime’s perspective in a bit, but first I’m going to start with a controversial opinion I myself hold, but I’m going to actually break down why it’s not as controversial, perhaps, as it’d appear on first glance. The opinion is, “people choose to be offended.” And before you accuse me of saying that being offended is thus meaningless, people also choose to get married, and to have children. People still choose to kill one another. Choices aren’t meaningless, quite the opposite. This collection of two write-ups focuses on Umeda, who is the true “antagonist” of the show, unlike Berg-Katze who’s more of a phenomenon than a person, Umeda is the darkness within us all, and what we must all face and fight off. He’s also human. 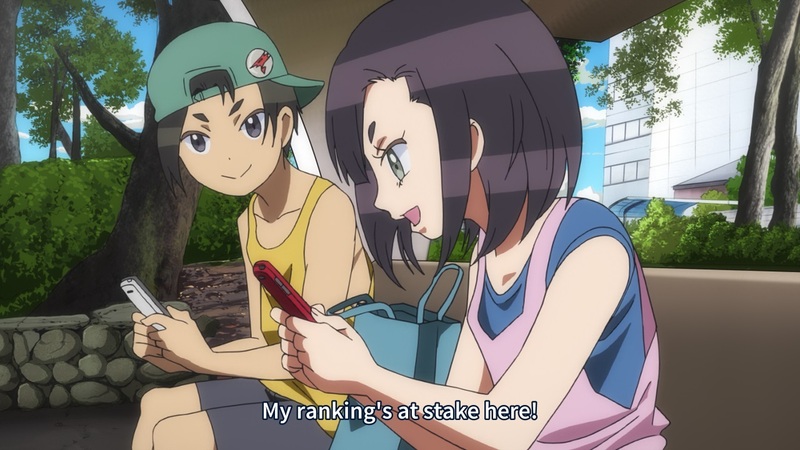 These two write-ups continue from Rui’s World and will to power to exploring the various manifestation of power and leadership within the series, followed by the first foray into the hotly contested topic of trolling, and how one’s reaction to trolling is very partisan, dependent on whether they’re dishing it out or receiving it. 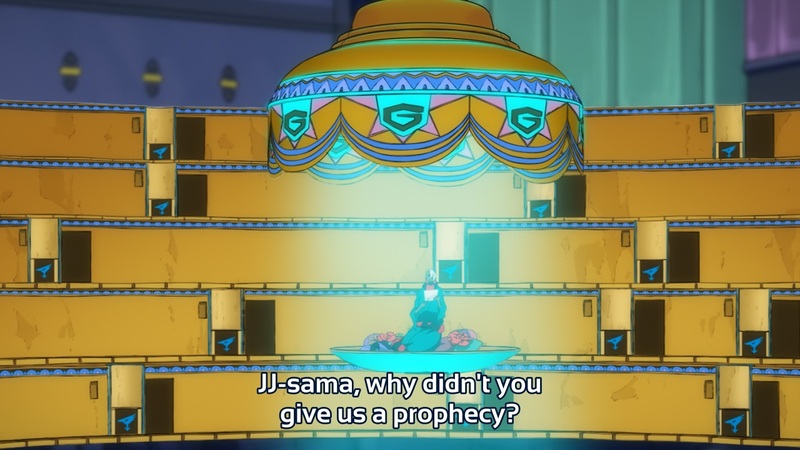 In other words, this is another write-up on how Gatchaman Crowds explores what it means to be human, and this time from what we like to cluck our tongues at, even as we often fall into it ourselves. The demagogue’s prey, the malcontent. I guess you could also fit Pai-Pai here, but his is a mask of leadership he assumes out of perceived necessity, and we don’t know of any desire he ever possessed of fixing the world. Unlike Joe. Well, maybe Sugayama is likewise, but one needs a certain drive to become a Prime Minister. But I digress.